Home/Posts/Blog/Sanitary / Aseptic/Clean Room Insulation – is there a product resistant to Mould Growth? Clean Room Insulation – is there a product resistant to Mould Growth? Why is it the only sanitary insulation that works in a Clean Room environment? With T-Tubes unique sealing system, operators can gain access to pipework and then reseal the installation by re-taping the T tubes. No external contractors required or extraction hood set ups. What other sanitary or clean room insulation has a proven 28 day Mould-Growth Resistance? 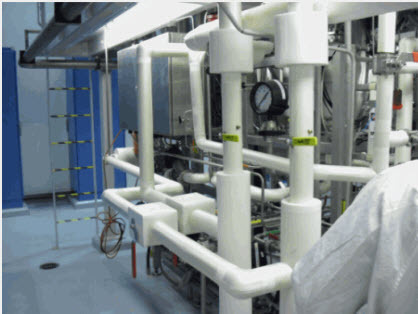 Click here for more information on T Tubes insulation for Clean Room Environments or send us an enquiry for further information.